The Civic Theatre opened in 1936 and reopened in 1981, and still features its original wooden-backed seats. 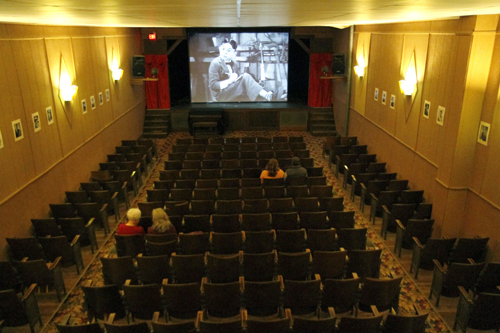 Programs are varied and include classic films and live stage performances. 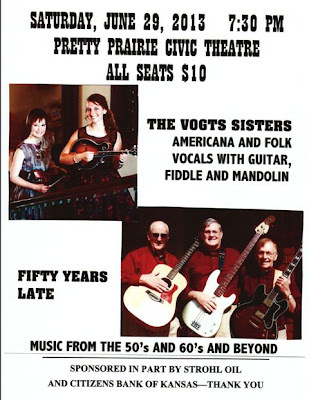 Movie Trivia: The community of Pretty Prairie was featured in the 1952 film "Wait Till The Sun Shines, Nellie". More Movie Trivia: In 1956, Carl Switzer and his wife Diantha Collingwood, moved to Pretty Prairie to live on her father's farm for a short time. 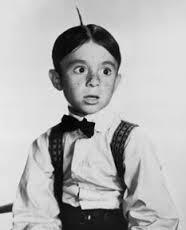 Carl Switzer is best known as "Alfalfa" from Our Gang. Our Gang episodes are very popular at the Civic Theatre. Doors open at 7:00 PM on Saturday, with the concert beginning at 7:30. Hope you can join us!